How do I know that I need to get help? If you’re generally unhappy, if you think you worry too much about things, maybe there’s been a traumatic event or a significant change in your life that has become overwhelming that interferes with your daily life and even is beginning to damage your health….then seeing a professional to help you sort things out is a good idea. For the most efficient use of your time, please complete the Client Registration Form and bring it with you when you come for the first time. You can also contact your insurance company to verify your mental health coverage if you wish, otherwise, our business office staff will be happy to contact your insurance company for you. You may also want to make a list of questions you have about counseling. Your therapist will be happy to discuss any questions with you. Generally, the first appointment is a “get acquainted” session. Your therapist will ask you some questions so she understands what your concerns are and what you hope to accomplish by coming for counseling. Your therapist will also answer any questions you bring to the first visit. How many sessions will I have to come to? The number of sessions varies depending on many factors, including your goals. Cornerstone therapists normally provide short-term treatment. This will be an on-going discussion between you and your therapist. 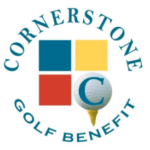 Cornerstone is a Preferred Provider for most insurance companies. Not all therapists are enrolled in every health plan. For your convenience, we will bill your insurance company directly if you wish. We request that you pay your co-payments at the time of service. You may want to contact your insurance company for details of your coverage. Patients are responsible for what insurance doesn’t pay. I get some free sessions through my employer. What if I use them all but still have some things I need to continue working on? Most Employee Assistance Programs allow clients to continue with services, and some will authorize an additional limited number of sessions. We will be happy to bill your insurance company for any sessions you need when your EAP sessions are exhausted. How do I know if my employer offers Employee Assistance Program benefits? Many local employers recognize the value in providing an Employee Assistance Program. Cornerstone is a provider for most of these programs too. The best way to find out if your employer offers an EAP is to contact your employer’s human resources office. Sometimes personalities just don’t “click,” and at Cornerstone we understand that the relationship between client and therapist is the most important factor in successful treatment. You are encouraged to talk with your therapist about the relationship if it isn’t working. Or, contact the Executive Director to discuss your concerns. He can match with a therapist who better fits your style. Or, what if I like my therapist just fine, but she just doesn’t seem to be helping me all that much. Can I get a different therapist? Liking a therapist doesn’t always guarantee success. This is an issue that is always up for discussion between you, the therapist, and the Executive Director if necessary. We want to meet your needs and help you accomplish your goals in counseling. I had to quit seeing my last therapist because he said I was trying to “direct my own treatment.” He seemed to be angry at me for not taking all of his suggestions. Will it be that way with a therapist at Cornerstone? Because Cornerstone therapists consider themselves to be partners and guides, your input is absolutely vital for you to achieve your goals! Your therapist might offer some ideas or suggestions, but you are free to use what makes sense to you! I’ve heard about something called “treatment protocols,” like if I have depression then I have a treatment packet. That seems like a “one size fits all” approach to treatment. Do Cornerstone therapists use treatment protocols, or is there a more individualized approach? Some people find a “prescriptive” approach to treatment very organized and comfortable. Others do not care for it. You and your therapist will decide together how therapy will proceed. Is there anything special about Cornerstone? We think there a quite a few reasons to choose Cornerstone as your mental health provider. We are located in what was formerly a family home, so it feels warm and comfortable rather than like a doctor’s office. As a small practice, we tend to be a bit more “user-friendly” than larger practices. Finally, we use what is referred to as a “best practice” treatment approach called Client-Directed, Outcome-Informed which simply means we help you accomplish your goals in counseling. It’s really simple. Just call 222-8254! Our receptionist, Elena, will get some basic information, like your name and insurance company, and she will give you an appointment time that is convenient for you. The whole idea of seeing a counselor is sort of scary…and kind of embarrassing. Will I be judged? All of us have times when we need a little help. We get overwhelmed, confused or simply don’t know what to do. This is just part of life. There needn’t be any embarrassment; we’ve all been there. Remember, a therapist is a regular person like you with training to help you work through these challenging times. A therapist is there to help you, not judge you. You are not forced to talk about anything you don’t want to talk about. Counseling might be too expensive for me. What are my options? We try very hard to keep our costs low as possible while still providing you with the highest quality of care. Sliding scale is available to clients without health insurance and is based on household income and size. We accept most insurance, Medicare, cash, checks, MasterCard, Visa, and Discover. We do ask for payment at time of service. We do receive some funding from the United Way of Adams County for clients who do not have health insurance or other means to pay. Sliding scale funding is based on households income and size. Clients who receive financial support from the United Way will have a co-pay due at the time of service. Your privacy is important to you and to Cornerstone. Federal law protects you from disclosure of your health information without your consent. Please refer to the Notice of Privacy Practices. Our information systems are protected by appropriate firewalls. Further, we believe your privacy is better protected because we are a small group practice. Fewer people have access to information about you. Normally, only your therapist will have access to your information. If we are billing your insurance company, the billing office will have access to certain information that is needed to file insurance claims, including dates of service and diagnosis.